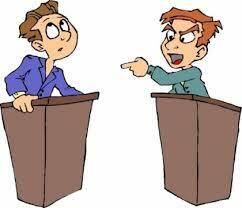 Home › Christian › Apologists – Defenders of the Gospel or Rude Loud Mouths? Apologists – Defenders of the Gospel or Rude Loud Mouths? Since starting a blog, I have been introduced to many other blog writers with varying genre and writing styles. While most are Christian based, one in particular is written by a person who is not atheist, in the sense of true atheism, but is more on the agnostic side. You might be wondering why I would follow this type blog but I assure you my reasoning is very sound. I’m interested in the responses from other readers, especially those professing to be Christian. To back track a bit, a couple of years ago I was listening to the radio and happened to stumble across a debate between an apologist and an atheist. To my dismay and embarrassment, the apologist was walking in everything but love. When the atheist, who was keeping an even and polite tone, would make an argument the apologist would raise his voice in defense. Although it was on the radio, I pictured the apologist pointing a defiant finger towards the atheist. Now, don’t get me wrong. I am all about defending the Gospel. However, some who consider themselves defending the Gospel are nothing more than rude loud mouths looking for a fight. Instead of reading the Word for growth, they read the Word looking for ways to defend their arguments. Many have a list of arguments at the ready. “If they say this, then I will say that.” Web page after web page is devoted to arguments for certain topics. This is not Christianity and is certainly not what Paul meant when he instructed us to have a reasoned defense for why we believe what we believe. In my research of the New Testament, I found one common thread among all who were recorded as defending the Gospel. That one thread is the Holy Spirit. These defenders were not speaking from a list of prefabricated arguments, but were speaking as the Holy Spirit gave them utterance. They were not out looking for a fight, but defended the Gospel when the fight was brought to them. Furthermore, they did it in love. Yes, their words may have been harsh at times, but their motives were pure. Love is patient and kind, not boastful and proud. The quickest way to convince an unbeliever to not follow Jesus is to prove them right. After all, they already think Christianity is just another religion filled with hot air and nonsense. If you truly want to defend the Gospel, ask the Holy Spirit to speak through you. He will use your words with laser like precision. Be blessed! You are so correct! I have been guilty of the same until the Holy Spirit called me on it. Great point. I have done the same when defending my beliefs. We all have. The important thing is to learn from our mistakes. I think your post is right on. The more I grow in the Lord the more I believe our apologetics must be seasoned with wisdom and love. And by wisdom I also include the wisdom to address things “pastorally” and not just clubbing someone with an argument. Yes sir, I believe you have the right attitude.